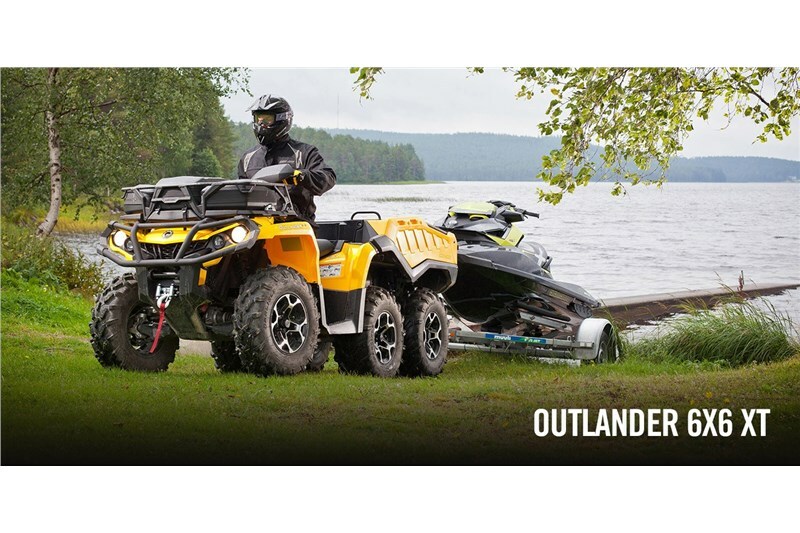 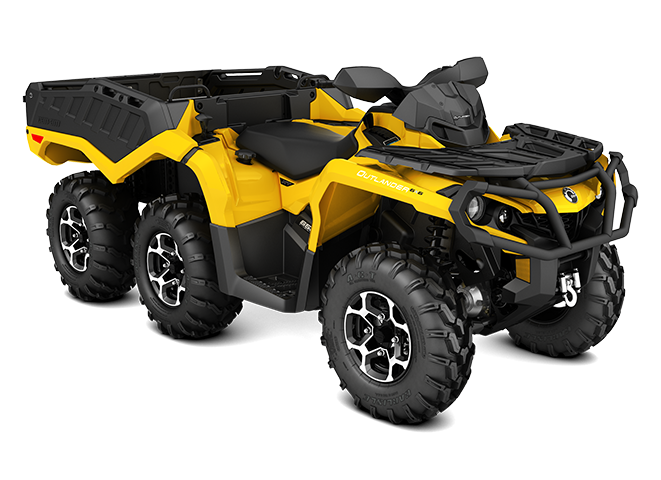 Choose between the proven 62-hp Rotax 650 or 82-hp Rotax 1000 liquid-cooled V-Twin engines, complete with four valves per cylinder and single overhead camshafts. 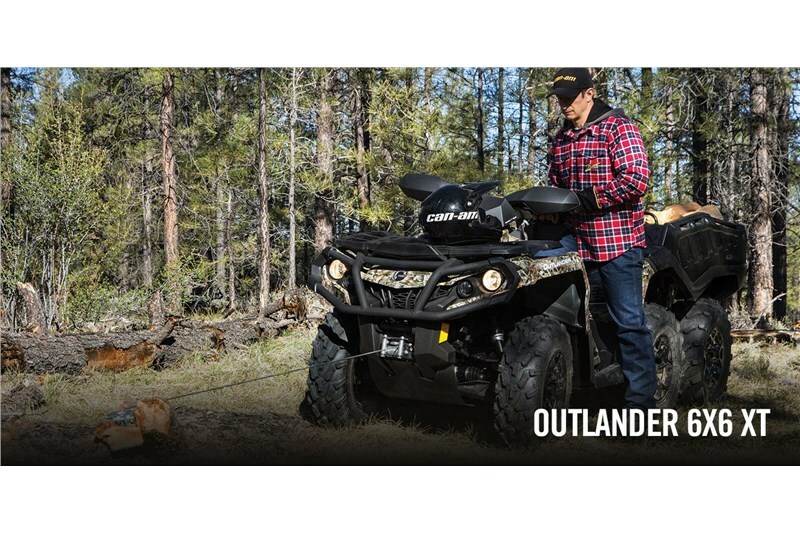 They deliver unmatched power and performance while remaining both reliable and efficient. 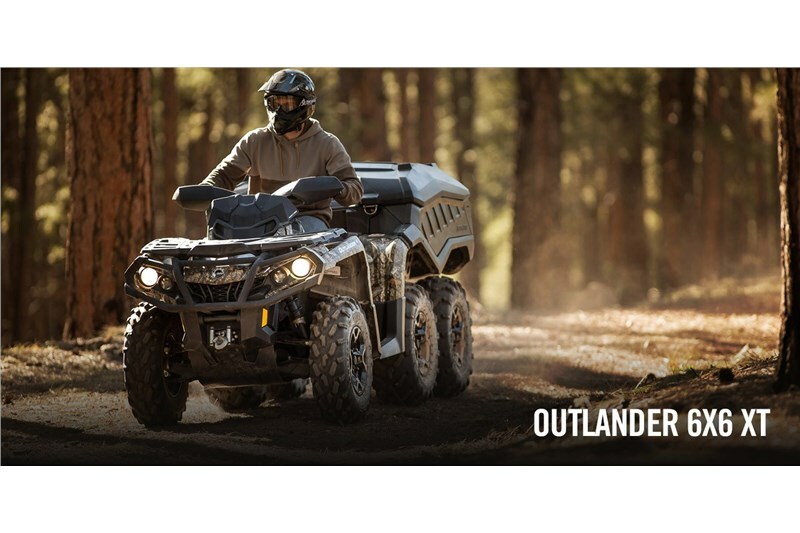 The Continuously Variable Transmission (CVT) on the Outlander 6x6 has an extra low range L-gear to allow for an increased workload and a softer engagement for smooth starts. 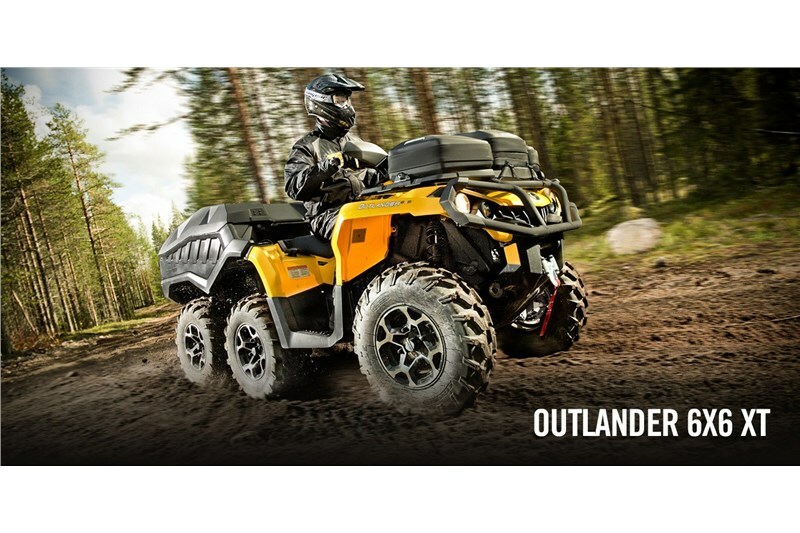 Its CVT intake features improved cooling for increasedefficiency in work conditions. 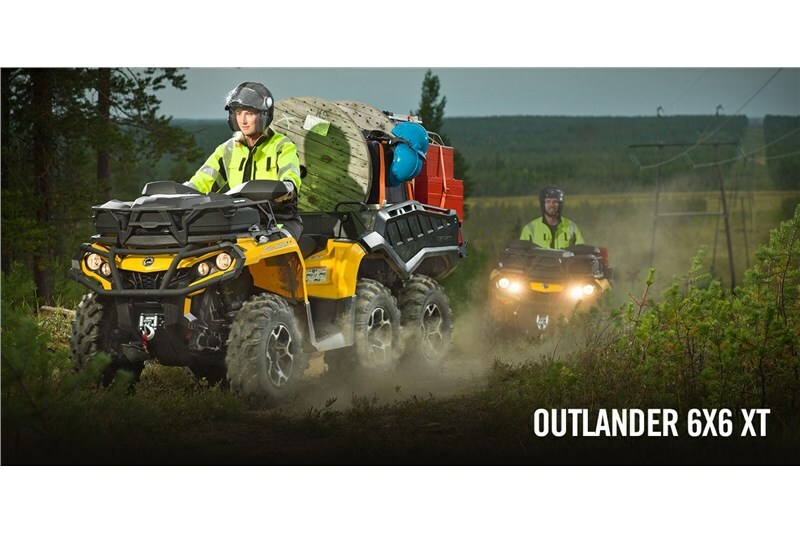 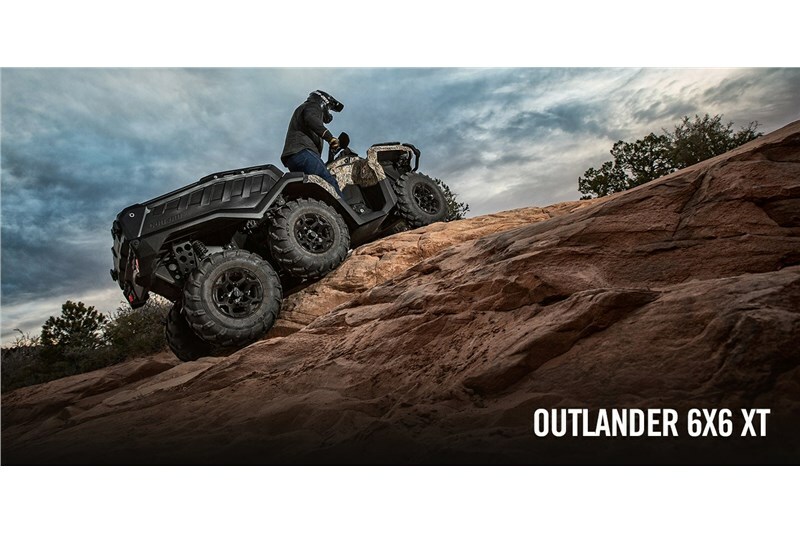 For situations that require optimal traction and as much contact patch with the terrain at hand, the Outlander 6x6 offers both 4x6 and 6x6 operation with its Visco-Lok QE. 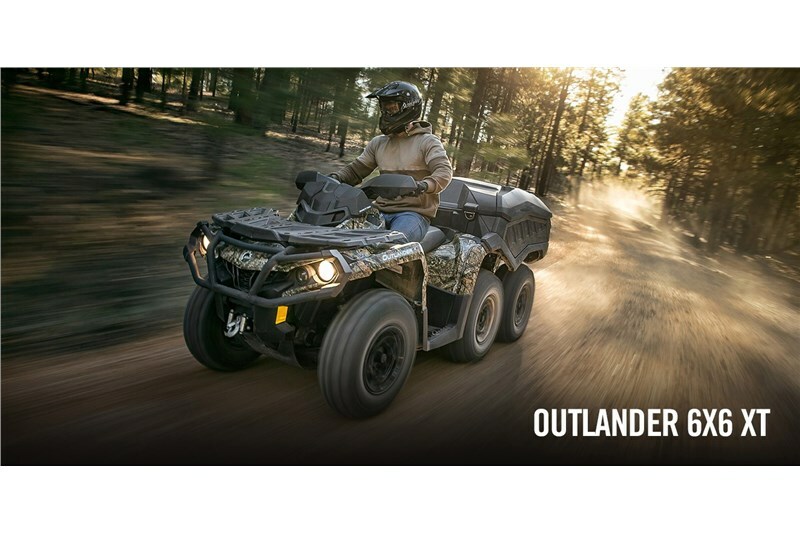 Once 6x6 is selected, the system intelligently transfers power from the slipping front wheel to the opposing wheel with traction and is not hampered by speed or rev limiters. 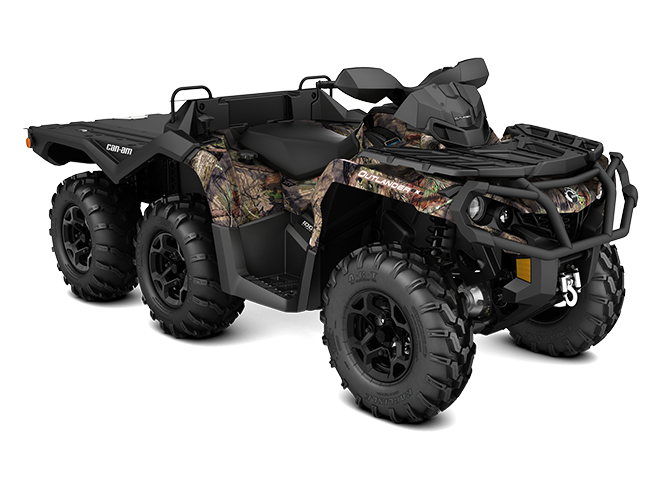 The progressively and automatically locking front differential system requires no additional buttons to push or levers to hold. 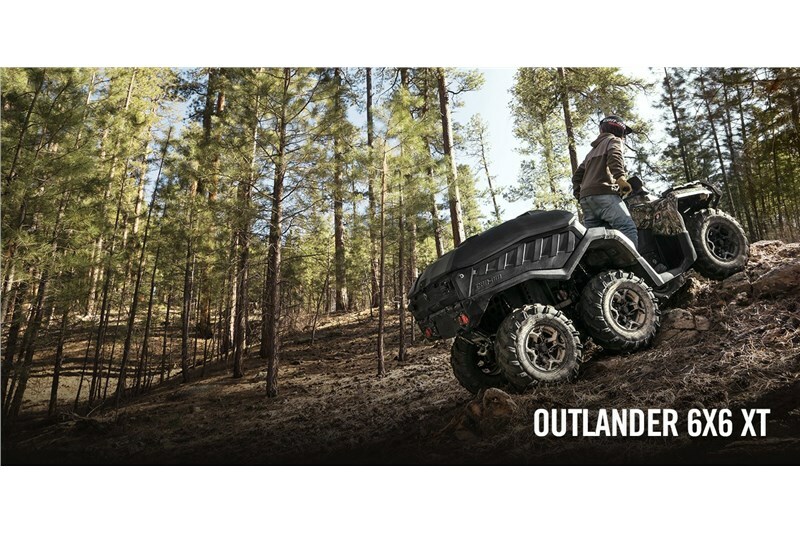 In 4x6 mode, all four rear wheels provide traction. 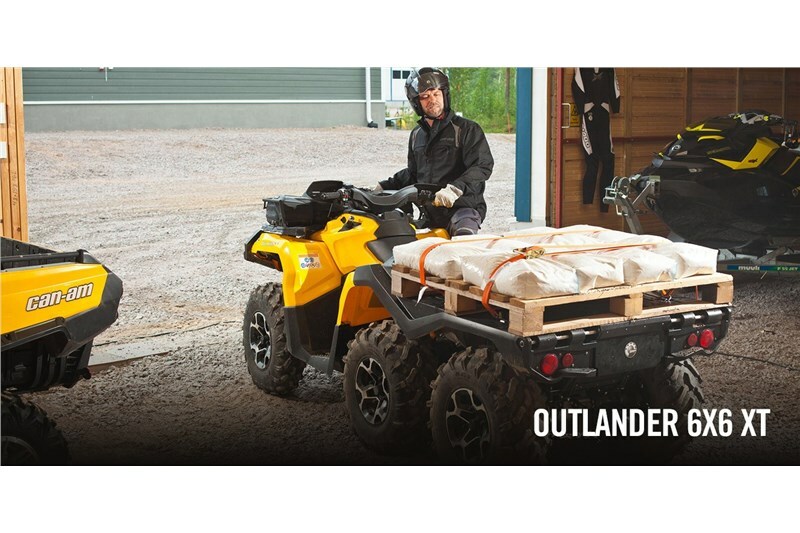 This unique cargo box features two storage levels, 700-lb (318 kg) of total hauling capacity and tilt-assist dumping. 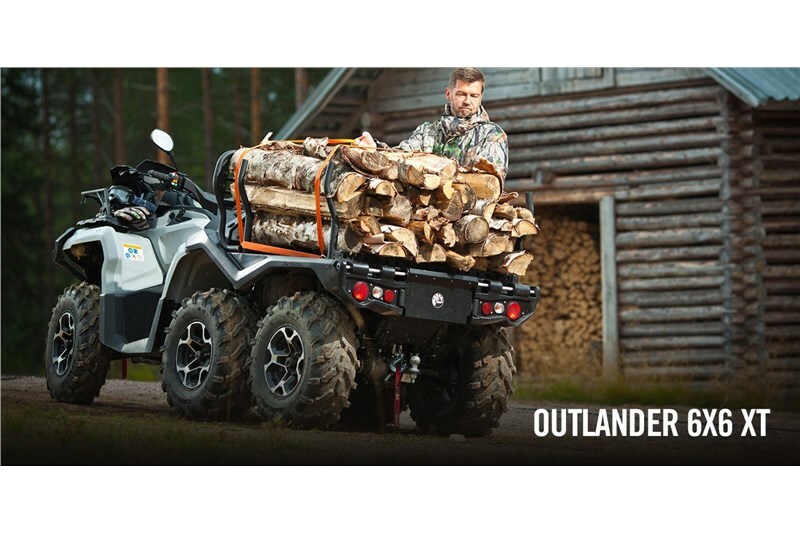 Its standard side panels enable you to create a flatbed in seconds. You can also add accessories such as a cargo cover, log bars, tailgate extension and more.